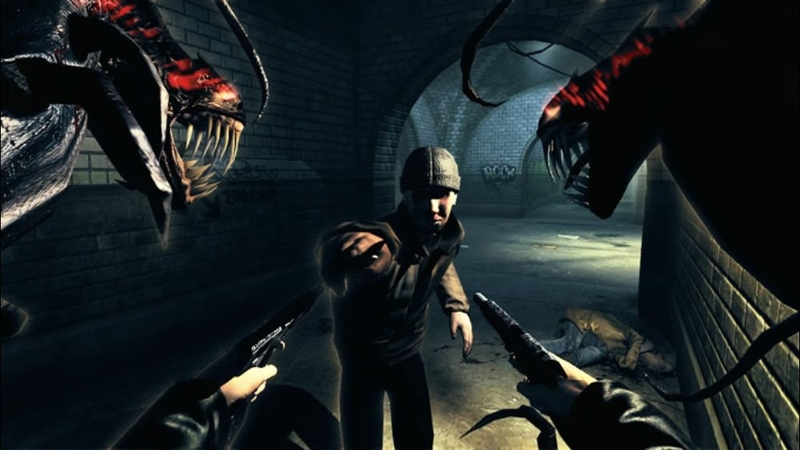 Back in 2007, there was a shift in the FPS genre and many games released felt uninspiring and weak in execution. I reviewed one of my favourites that came out a year prior, Prey is one of the finest corridor shooters in the last generation. Then came The Darkness. Inspired by the Top Cow comic series of the same name and brought to us by the super talented Starbreeze studios; the guys who brought us the awesome Chronicles of Riddick: Escape from Butcher Bay. 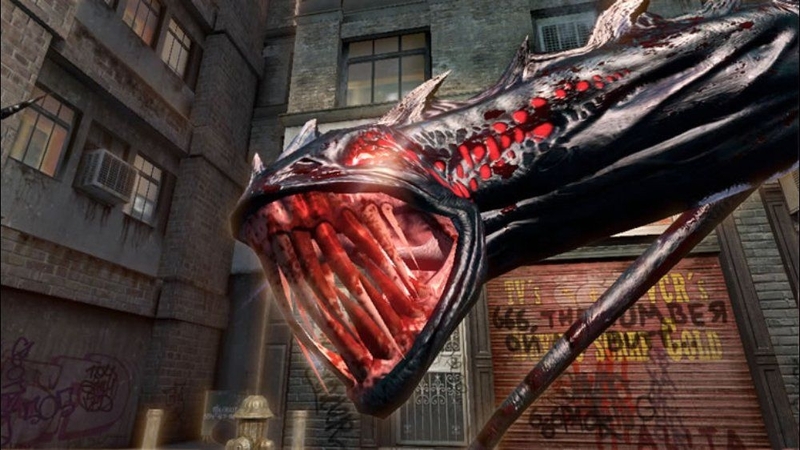 As a comic to video game adaption back in 2007, it was met with universal praise. Now, after 11 years I ask if like Prey, has The Darkness aged well? The Darkness is centred on Jackie Estacado, a mafia hitman celebrating his 21st birthday in style with a hit going wrong, his psychopath Mob-boss uncle betraying him and a supernatural force overtaking his body for reasons unknown. Nice! So Jackie is fighting not only the mafia, corrupted police officers, and his mental uncle but also a powerful force which has manifested as a supernatural creature with tentacles and a hunger for human hearts. Jackie must use his demonic abilities in order to defeat his uncle and the mafia to ensure his own survival and that of his loved one. This adaption presents a gripping story that embodies the dark humour, intense drama and compelling themes of the comics perfectly. There are plenty of interesting themes, enthralling twists and an underlying tragic overtone that really is heart-breaking. Many of the elements are made much more effective due to some great voice acting and the visual style, with one or two exceptions. Firstly there’s the problem with Jackie. Kirk Acevedo is a decent actor but not a very good voice actor as he spews lifeless and emotionless readings that make Jackie more of a moody goth than a hardened mafia Hitman like in the comics. Brian Bloom’s performance in the sequel was much more fitting and one that utilises the presence of The Darkness. Kirk Acevedo performance seems massively disinterested in The Darkness, the horrendous situation, the violence and everything else in-between. One key scene sees Jackie attempt to break through his emotional barrier and it comes off as unintentionally funny and massively ham-fisted overall due to the poor animations of Jackie. But the standout performance is Mike Patton who is perfect in the role of The Darkness. His voice is perfect and I wish this guy did more voice acting in gaming. While The Darkness is a fairly decent looking game even by current standards, many of the character models look downright lifeless. This is a problem Starbreeze have on a regular basis when developing their character models. It’s inconsistent as some look, move and animate well while the other 50% look, move and animate like petrified wood (Beavis and Butthead reference there). The lip syncing can be awful at times, hardly moving when people speak (Jackie’s is the worst) and you can go lengthy durations where characters don’t even blink. This is a problem as it’s extremely off-putting and draws way too much attention when the camera does a close-up. All these faults distract from the excellent character interactions and the great work that’s actually here. But while StarBreeze are known for designing games around a compelling narrative, they are also renowned for their interesting frameworks in FPs titles. Shooting mechanics are pretty refined but there’s a couple of issues which really hold this back from greatness. Again like the aesthetics, the shooting is inconsistent. 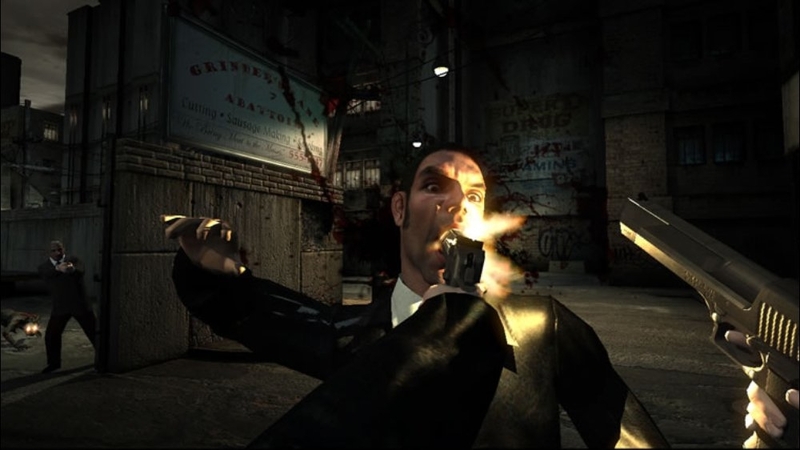 For example, shooting objects such as light bulbs point blank with a shotgun might have no effect, but fire 20 feet away at an enemy and they’ll go down no problem. 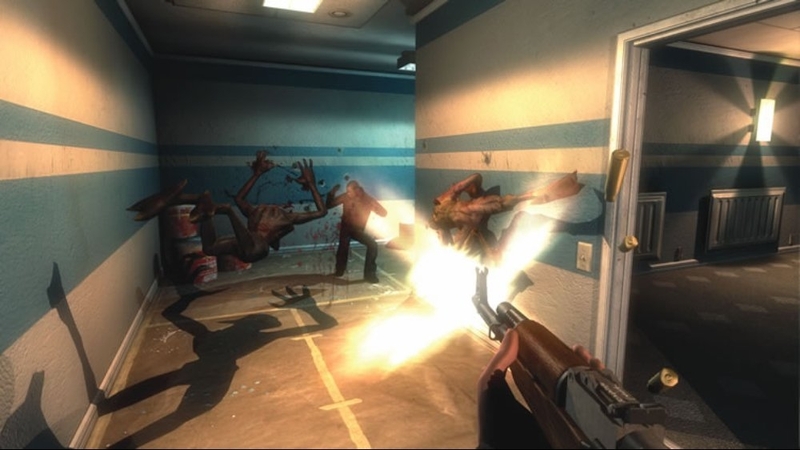 Enemy damage suffers from The Darkness’s inconsistent nature as you can again shoot an enemy in the face with a shotgun and after a short breather they’ll get back up. Matters are made worse when you realise the enemy AI is pretty unintelligent and the lack of variation in enemies makes most shootouts a little repetitive. Aside from these small issues, the shooting can be very enjoyable, with a great amount of intensity, impact from firearms and small touches like the finishers make combat more entertaining. What also helped The Darkness overcome its mechanical flaws are the great set pieces which really have stood the test of time. Moments like the opening car chase, Restaurant shootout with the SWAT team, WW1 stages and the underground tunnels homing a deranged cult are sparks of light in a dark room. The Darkness has some exhilarating action and then there are other moments which will bore the pants of anyone. It’s a shame that the Darkness itself and the powers you wield don’t become prominent until the latter half of the game. It’s not until you come back from the first WW1 segment that the Darkness becomes more prominent and useful for the second half. While not as engaging or varied as the sequel’s Darkness mechanics, there are some highlights of the Blackhole being the most damaging and spectacular in action. These powers, however, don’t save the game from its biggest problem. What causes the main problem for The Darkness and its pacing are the “open world” segments and what you do within these areas. The subway hub world and the world, in general, is just dull, lifeless and a drag to traverse. Various side quests just amount to tedious fetch quests, kill quests and the worst one which involves you picking up coins off a live subway track for an old ladies amusement. Yeah, this was a major low point for the game. But these don’t amount to the piss poor end where Jackie fights his way to his Uncle Paul’s island mansion for the last big battle to be a crappy cutscene and ending on a flat, single-note style execution. Then it’s a 10-second ending and that’s it. The best way I can describe The Darkness as inconsistent. Starbreeze are a talented bunch of guys who make compelling first-person shooters with interesting themes and settings, but can also miss out on the smaller details. There are some great elements at play with a well written story, great performances (for the most part), excellent action and nicely refined shooting mechanics. These are however held back by the poor performances, some awful animations, broken sense of aiming, dull open world segments and the underwhelming use of The Darkness for the first half. While there are some shining moments in The Darkness, just expect some underwhelming and baffling design choices that ruin the flow and let this down overall.